This is an extremely rare "one-off" occassion to own THE ONLY PRINCESS 88MY OF ITS KIND to have ever been built so far by Princess Yachts! - 13,000 lt custom long-range fuel tank, capable of 2,000nm at 11 knots! 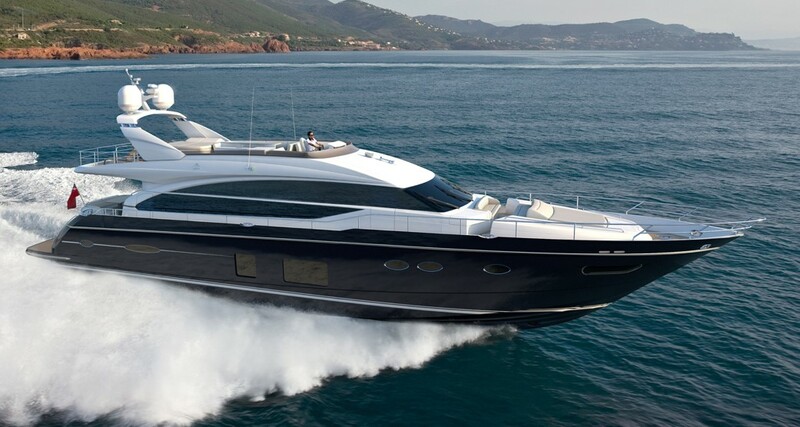 - Special "lucky" edition "88Y888"
The Princess Yacht 88 Motor Yacht is the very latest luxury motor yacht from the world renown Princess, featuring many new features such as the saloon balcony/terrace, huge foredeck Portuguese bridge. This particular yacht is fitted with every options any discerning experiened yachtsmen could ever wish for, fully equipped for long-range cruising in style, safety and comfort. Lying fully covered in VIP under-cover garage from the beginning, the yacht has been meticulously maintained by a full time captain and crew, and an inspection is highly recommended!